I have been very busy lately. I preached a Spanish speaking conference in Oklahoma City. Pastor Victor Herrera was the host pastor. There were pastors and church members from Arkansas, Kansas, and Texas present. We had a great time in the Lord. While in the Oklahoma City area I preached at the church where our son Mark is the pastor. New people are coming almost every Sunday. God is moving wonderfully! I ministered in Bismarck, Arkansas where Van Glidewell is the pastor. I have preached there over the years and this church has had tremendous growth over the last several months. We saw several people healed and others coming to the Lord! I also preached in Shreveport in a church where Steve Hill is the pastor. God is doing great things there! I am working on my second book, actually it is a booklet. If you do not have my first book Before the Beginning and After the End please email me and order one. In the next few weeks I will be preaching in Jackson and Osseo, Michigan. I will also be ministering at a Spanish speaking conference in Hillsboro, Texas. Bishop Sonny Cathey and I were scheduled to preach in Spain and Wales next month. We both have felt the Lord direct us to postpone this trip indefinitely. There are so many things happening we felt the Lord leading us to concentrate our ministry in America at this time. We are in crisis! The Ebola virus sounds like something out of the book of Revelation! Radical Islam is on the march to try to conquer the world. Their goal is to eradicate Christianity and destroy Israel. They will be greatly disappointed. The church has always thrived in difficult times. Vance Havner, one of my favorite authors who has gone on to be with the Lord, said “The church is secure in danger and endangered in security!” I believe that we are about to see the greatest revival since the book of Acts! However the world is about to undergo a time of great tragedy. Matthew 24:21–22 (AV) 21 For then shall be great tribulation, such as was not since the beginning of the world to this time, no, nor ever shall be. 22 And except those days should be shortened, there should no flesh be saved: but for the elect’s sake those days shall be shortened. Thank you for your interest and support of our ministry. Click to View, Save, or Print a PDF Copy. 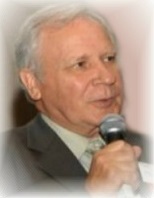 David Fuller International Ministries, Inc.